The Enneagram is a geometric figure that maps out the nine fundamental personality types of human nature and their complex interrelationships. It is a development of modern psychology that has roots in spiritual wisdom from many different ancient traditions. The condensation of universal wisdom, the perennial philosophy accumulated by Christians, Buddhists, Muslims (especially the Sufis), and Jews (in the Kabbalah) for thousands of years. The heart of the Enneagram is the universal insight that human beings are spiritual presences incarnated in the material world and yet mysteriously embodying the same life and Spirit as the Creator. Beneath surface differences and appearances, behind the veils of illusion, the light of Divinity shines in every individual. Various forces obscure that light, however, and each spiritual tradition has myths and doctrines to explain how mankind has lost its connection with the Divine. One of the great strengths of the Enneagram is that it steps aside from all doctrinal differences. It has helped individuals from virtually every major religious faith to rediscover their fundamental unity as spiritual beings. 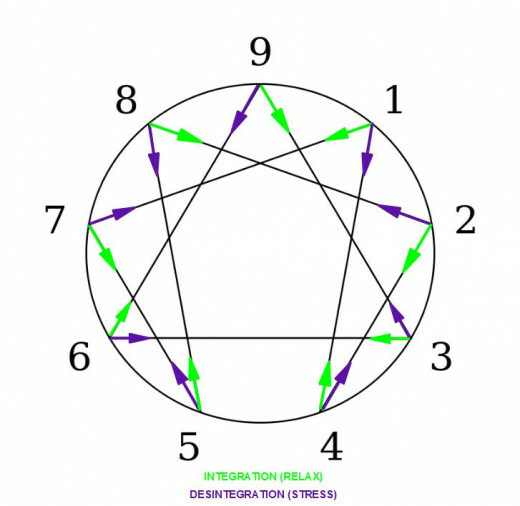 The Enneagram is not a religion, however; nor does it interfere with a person’s religious orientation. It does not pretend to be a complete spiritual path. Nevertheless, it concerns itself with one element that is fundamental to all spiritual paths: self-knowledge. Without self-knowledge, we will not get very far on our spiritual journey, nor will we be able to sustain whatever progress we have made. One of the great dangers of transformational work is that the ego attempts to sidestep deep psychological work by leaping into the transcendent too soon. This is because the ego always fancies itself much more “advanced” than it actually is. Real self-knowledge is an invaluable guardian against such self-deception. The Enneagram takes us places (and makes real progress possible) because it starts working from where we actually are. As much as it reveals the spiritual heights we are capable of attaining, it also sheds light clearly and non-judgmentally on the aspects of our lives that are dark and unfree. If we are going to live as spiritual beings in the material world, then these are the areas we most need to explore. Presence (awareness, mindfulness), the practice of self-observation (gained from self-knowledge), and understanding what one’s experiences mean (an accurate interpretation provided by a larger context such as a community or spiritual system) are the three basic elements needed for transformational work. Being supplies the first, you supply the second, and the Enneagram supplies the third. Ones are conscientious and ethical, with a strong sense of right and wrong. They are teachers, crusaders, and advocates for change: always striving to improve things, but afraid of making a mistake. Well-organized, orderly, and fastidious, they try to maintain high standards, but can slip into being critical and perfectionistic. They typically have problems with resentment and impatience. At Their Best: wise, discerning, realistic, and noble. Can be morally heroic. Want to be right, to strive higher and improve everything, to be consistent with their ideals, to justify themselves, to be beyond criticism so as not to be condemned by anyone. When moving in their Direction of Disintegration (stress), methodical Ones suddenly become moody and irrational at Four. However, when moving in their Direction of Integration (growth), angry, critical Ones become more spontaneous and joyful, like healthy Sevens. Learn more about the arrows. We have named personality type One The Reformer because Ones have a “sense of mission” that leads them to want to improve the world in various ways, using whatever degree of influence they have. They strive to overcome adversity—particularly moral adversity—so that the human spirit can shine through and make a difference. They strive after “higher values,” even at the cost of great personal sacrifice. History is full of Ones who have left comfortable lives to do something extraordinary because they felt that something higher was calling them. During the Second World War, Raoul Wallenburg left a comfortable middle-class life to work for the protection of thousands of European Jews from invading Nazis. In India, Gandhi left behind his wife and family and life as a successful lawyer to become an itinerant advocate of Indian independence and non-violent social changes. Joan of Arc left her village in France to restore the throne to the Dauphin and to expel the English from the country. The idealism of each of these Ones has inspired millions. Ones are people of practical action—they wish to be useful in the best sense of the word. On some level of consciousness, they feel that they “have a mission” to fulfill in life, if only to try their best to reduce the disorder they see in their environment. Although Ones have a strong sense of purpose, they also typically feel that they have to justify their actions to themselves, and often to others as well. This orientation causes Ones to spend a lot of time thinking about the consequences of their actions, as well as about how to keep from acting contrary to their convictions. Because of this, Ones often persuade themselves that they are “head” types, rationalists who proceed only on logic and objective truth. But, the real picture is somewhat different: Ones are actually activists who are searching for an acceptable rationale for what they feel they must do. They are people of instinct and passion who use convictions and judgments to control and direct themselves and their actions. In the effort to stay true to their principles, Ones resist being affected by their instinctual drives, consciously not giving in to them or expressing them too freely. The result is a personality type that has problems with repression, resistance, and aggression. They are usually seen by others as highly self- controlled, even rigid, although this is not how Ones experience themselves. It seems to them that they are sitting on a cauldron of passions and desires, and they had better “keep the lid on” lest they and everyone else around them regret it. I remember in high school getting feedback that I had no feelings. Inside, I felt my feelings intensely and yet I just couldn’t let them out as intensely as I felt them. Even now, if I have a conflict with a friend and need to address an issue, I rehearse ahead of time how to express clearly what I want, need, and observe, and yet, not be harsh or blaming in my anger which is often scathing. Ones believe that being strict with themselves (and eventually becoming “perfect”) will justify them in their own eyes and in the eyes of others. But by attempting to create their own brand of perfection, they often create their own personal hell. Instead of agreeing with the statement in Genesis that God saw what He had created, “and it was good,” Ones intensely feel that “It wasn’t—there obviously have been some mistakes here!” This orientation makes it difficult for them to trust their inner guidance—indeed, to trust life—so Ones come to rely heavily on their superego, a learned voice from their childhood, to guide them toward “the greater good” which they so passionately seek. When Ones have gotten completely entranced in their personality, there is little distinction between them and this severe, unforgiving voice. Separating from it and seeing its genuine strengths and limitations is what growth for Ones is about. Want to be loved, to express their feelings for others, to be needed and appreciated, to get others to respond to them, to vindicate their claims about themselves. I cannot imagine being another type and I would not want to be another type. I like being involved in peoples’ lives. I like feeling compassionate, caring, nurturing. I like cooking and homemaking. I like having the confidence that anyone can tell me anything about themselves and I will be able to love them….I am really proud of myself and love myself for being able to be with people where they are. I really can, and do, love people, pets, and things. And I am a great cook! All of my jobs revolved around helping people. I was a teacher who wanted to be sensitive to children and help them get off to a good start. I was a religious education director in a number of parishes. I thought that if people learned about the spiritual life, they’d be happier…The most important part of my life is my spiritual life. I was in a religious community for ten years. I married a former priest, and we both have our spirituality as the basis of our life together. But in the healthy range, the picture is completely different. My own [Don Riso’s] maternal grandmother was an archetypal Two. During World War II, she was “Moms” to what seemed like half of Keisler Air Force Base in Biloxi, Mississippi, feeding the boys, allowing her home to be used as a “home away from home,” giving advice and consolation to anyone lonely or fearful about going to war. Although she and her husband were not wealthy and had two teenage children of their own, she cooked extra meals for the servicemen, put them up at night, and saw to it that their uniforms had all of their buttons and were well pressed. She lived until her 80’s, remembering those years as the happiest and most fulfilling of her life—probably because her healthy Two capacities were so fully and richly engaged. Threes are self-assured, attractive, and charming. Ambitious, competent, and energetic, they can also be status-conscious and highly driven for advancement. They are diplomatic and poised, but can also be overly concerned with their image and what others think of them. They typically have problems with workaholism and competitiveness. At Their Best: self-accepting, authentic, everything they seem to be—role models who inspire others. Want to be affirmed, to distinguish themselves from others, to have attention, to be admired, and to impress others. When moving in their Direction of Disintegration (stress), driven Threes suddenly become disengaged and apathetic at Nine. However, when moving in their Direction of Integration (growth), vain, deceitful Threes become more cooperative and committed to others, like healthy Sixes. Learn more about the arrows. We have named personality type Three The Achiever because when they are healthy, Threes really can and do achieve great things in the world. They are the “stars” of human nature, and people often look up to them because of their graciousness and personal accomplishments. Healthy Threes know how good it feels to develop themselves and contribute their abilities to the world, and also enjoy motivating others to greater personal achievements than others thought they were capable of. They are usually well regarded and popular among their peers, the type of person who is frequently voted “class president” or “home coming queen” because people feel they want to be associated with this kind of person who acts as a stand-in for them. Healthy Threes embody the best in a culture, and others are able to see their hopes and dreams mirrored in them. Threes are often successful and well liked because, of all the types, they most believe in themselves and in developing their talents and capacities. Threes act as living “role models” and paragons because of their extraordinary embodiment of socially valued qualities. Healthy Threes know that they are worth the effort it takes to be “the best that they can be.” Their success at doing so inspires others to invest in their own self-development. My mother trained me to perform. I was about three when I performed my first solo in front of the church congregation. I got a lot of positive strokes for that and went on to perform in front of audiences throughout high school, either through music or debate. To this day, something mystical happens to me when I get in front of an audience. I ‘turn it on.’ I am called on frequently as a public speaker and some of my professional colleagues say that they hate following me on the program because I am such a hard act to follow! Everyone needs attention, encouragement, and the affirmation of their value in order to thrive, and Threes are the type which most exemplifies this universal human need. Threes want success not so much for the things that success will buy (like Sevens), or for the power and feeling of independence that it will bring (like Eights). They want success because they are afraid of disappearing into a chasm of emptiness and worthlessness: without the increased attention and feeling of accomplishment which success usually brings, Threes fear that they are nobody and have no value. The problem is that, in the headlong rush to achieve whatever they believe will make them more valuable, Threes can become so alienated from themselves that they no longer know what they truly want, or what their real feelings or interests are. In this state, they are easy prey to self–deception, deceit, and falseness of all kinds. Thus, the deeper problem is that their search for a way to be value increasingly takes them further away from their own Essential Self with its core of real value. From their earliest years, as Threes become dependent on receiving attention from others and in pursuing the values that others reward, they gradually lose touch with themselves. Step by step, their own inner core, their “heart’s desire,” is left behind until they no longer recognize it. I had no conscious awareness of this at the time, but when I was a child, I wasn’t allowed to have my feelings at all. They counted for nothing in the framework of my stepfather’s concept of what it took to be successful. I developed the habit of denying my feelings and instead focused on performing and getting good marks in school. For most of my life, people always noticed when I was involved in any kind of activity, and they have usually looked to me for some sort of direction. This has been a two-edged sword because while I wanted to be noticed and approved, the burden was that I had to be perfect—and that was tough. Fours typically have problems with a negative self-image and chronically low self-esteem. They attempt to compensate for this by cultivating aFantasy Self—an idealized self-image which is built up primarily in their imaginations. A Four we know shared with us that he spent most of his spare time listening to classical music while fantasizing about being a great concert pianist—à la Vladimir Horowitz. Unfortunately, his commitment to practicing fell far short of his fantasized self-image, and he was often embarrassed when people asked him to play for them. His actual abilities, while not poor, became sources of shame. I collapse when I am out in the world. I have had a trail of relationship disasters. I have hated my sister’s goodness—and hated goodness in general. I went years without joy in my life, just pretending to smile because real smiles would not come to me. I have had a constant longing for whatever I cannot have. My longings can never become fulfilled because I now realize that I am attached to ‘the longing’ and not to any specific end result. Fives are alert, insightful, and curious. They are able to concentrate and focus on developing complex ideas and skills. Independent, innovative, and inventive, they can also become preoccupied with their thoughts and imaginary constructs. They become detached, yet high-strung and intense. They typically have problems with eccentricity, nihilism, and isolation. At Their Best: visionary pioneers, often ahead of their time, and able to see the world in an entirely new way. Want to possess knowledge, to understand the environment, to have everything figured out as a way of defending the self from threats from the environment. WWhen moving in their Direction of Disintegration (stress), detached Fives suddenly become hyperactive and scattered at Seven. However, when moving in their Direction of Integration (growth), avaricious, detached Fives become more self-confident and decisive, like healthy Eights. Learn more about the arrows. We have named personality type Five The Investigator because, more than any other type, Fives want to find out why things are the way they are. They want to understand how the world works, whether it is the cosmos, the microscopic world, the animal, vegetable, or mineral kingdoms—or the inner world of their imaginations. They are always searching, asking questions, and delving into things in depth. They do not accept received opinions and doctrines, feeling a strong need to test the truth of most assumptions for themselves. Being a Five means always needing to learn, to take in information about the world. A day without learning is like a day without ‘sunshine.’ As a Five, I want to have an understanding of life. I like having a theoretical explanation about why things happen as they do. This understanding makes me feel in charge and in control. I most often learn from a distance as an observer and not a participant. Sometimes, it seems that understanding life is as good as living it. It is a difficult journey to learn that life must be lived and not just studied. Behind Fives’ relentless pursuit of knowledge are deep insecurities about their ability to function successfully in the world. Fives feel that they do not have an ability to do things as well as others. But rather than engage directly with activities that might bolster their confidence, Fives “take a step back” into their minds where they feel more capable. Their belief is that from the safety of their minds they will eventually figure out how to do things—and one day rejoin the world. Knowledge, understanding, and insight are thus highly valued by Fives, because their identity is built around “having ideas” and being someone who has something unusual and insightful to say. For this reason, Fives are not interested in exploring what is already familiar and well-established; rather, their attention is drawn to the unusual, the overlooked, the secret, the occult, the bizarre, the fantastic, the “unthinkable.” Investigating “unknown territory”—knowing something that others do not know, or creating something that no one has ever experienced—allows Fives to have a niche for themselves that no one else occupies. They believe that developing this niche is the best way that they can attain independence and confidence. Thus, for their own security and self-esteem, Fives need to have at least one area in which they have a degree of expertise that will allow them to feel capable and connected with the world. Fives think, “I am going to find something that I can do really well, and then I will be able to meet the challenges of life. But I can’t have other things distracting me or getting in the way.” They therefore develop an intense focus on whatever they can master and feel secure about. It may be the world of mathematics, or the world of rock and roll, or classical music, or car mechanics, or horror and science fiction, or a world entirely created in their imagination. Not all Fives are scholars or Ph.Ds. But, depending on their intelligence and the resources available to them, they focus intensely on mastering something that has captured their interest. For better or worse, the areas that Fives explore do not depend on social validation; indeed, if others agree with their ideas too readily, Fives tend to fear that their ideas might be too conventional. History is full of famous Fives who overturned accepted ways of understanding or doing things (Darwin, Einstein, Nietzsche). Many more Fives, however, have become lost in the Byzantine complexities of their own thought processes, becoming merely eccentric and socially isolated. The intense focus of Fives can thus lead to remarkable discoveries and innovations, but when the personality is more fixated, it can also create self-defeating problems. This is because their focus of attention unwittingly serves to distract them from their most pressing practical problems. Whatever the sources of their anxieties may be—relationships, lack of physical strength, inability to gain employment, and so forth—average Fives tend not to deal with these issues. Rather, they find something else to do that will make them feel more competent. The irony is that no matter what degree of mastery they develop in their area of expertise, this cannot solve their more basic insecurities about functioning in the world. For example, as a marine biologist, a Five could learn everything there is to know about a type of shellfish, but if her fear is that she is never going to be able to run her own household adequately, she will not have solved her underlying anxiety. Since I was a child, I have shied away from sports and strenuous physical activity whenever possible. I was never able to climb the ropes in gym class, stopped participating in sports as soon as it was feasible, and the smell of a gymnasium still makes me uncomfortable. At the same time, I have always had a very active mental life. I learned to read at the age of three, and in school I was always one of the smartest kids in academic subjects. Thus, much of their time gets spent “collecting” and developing ideas and skills they believe will make them feel confident and prepared. They want to retain everything that they have learned and “carry it around in their heads.” The problem is that while they are engrossed in this process, they are not interacting with others or even increasing many other practical and social skills. They devote more and more time to collecting and attending to their collections, less to anything related to their real needs. Thus, the challenge to Fives is to understand that they can pursue whatever questions or problems spark their imaginations and maintain relationships, take proper care of themselves, and do all of the things that are the hallmarks of a healthy life. Type Sixes are committed, security-oriented types. Sixes are reliable, hard-working, responsible, and trustworthy. Excellent “troubleshooters,” they foresee problems and foster cooperation, but can also become defensive, evasive, and anxious—running on stress while complaining about it. They can be cautious and indecisive, but also reactive, defiant and rebellious. They typically have problems with self-doubt and suspicion. At their best: internally stable and self-reliant, courageously championing themselves and others. Want to have security, to feel supported by others, to have certitude and reassurance, to test the attitudes of others toward them, to fight against anxiety and insecurity. When moving in their Direction of Disintegration (stress), dutiful Sixes suddenly become competitive and arrogant at Three. However, when moving in their Direction of Integration (growth), fearful, pessimistic Sixes become more relaxed and optimistic, like healthy Nines. Learn more about the arrows. We have named personality Type Six The Loyalist because, of all the personality types, Sixes are the most loyal to their friends and to their beliefs. They will “go down with the ship” and hang on to relationships of all kinds far longer than most other types. Sixes are also loyal to ideas, systems, and beliefs—even to the belief that all ideas or authorities should be questioned or defied. Indeed, not all Sixes go along with the “status quo:” their beliefs may be rebellious and anti-authoritarian, even revolutionary. In any case, they will typically fight for their beliefs more fiercely than they will fight for themselves, and they will defend their community or family more tenaciously than they will defend themselves. The reason Sixes are so loyal to others is that they do not want to be abandoned and left without support—their Basic Fear. Thus, the central issue for type Six is a failure of self-confidence. Sixes come to believe that they do not possess the internal resources to handle life’s challenges and vagaries alone, and so increasingly rely on structures, allies, beliefs, and supports outside themselves for guidance to survive. If suitable structures do not exist, they will help create and maintain them. Sixes are the primary type in the Thinking Center, meaning that they have the most trouble contacting their own inner guidance. As a result, they do not have confidence in their own minds and judgments. Sixes are always aware of their anxieties and are always looking for ways to construct “social security” bulwarks against them. If Sixes feel that they have sufficient back up, they can move forward with some degree of confidence. But if that crumbles, they become anxious and self-doubting, reawakening their Basic Fear. (“I’m on my own! What am I going to do now?”) A good question for Sixes might therefore be: “When will I know that I have enough security?” Or, to get right to the heart of it, “What is security?” Without Essential inner guidance and the deep sense of support that it brings, Sixes are constantly struggling to find firm ground. As my anxiety has come under control, so has my need to ‘check out’ everything with my friends. I used to have to get the nod of approval from several hundred (just joking!) ‘authorities.’ About nearly every decision would involve a council of my friends. I usually would do this one on one: ‘What do you think, Mary?’ ‘If I do this, then that might happen.’ Please make up my mind for me!’…Recently, I’ve narrowed my authorities to just one or two trusted friends, and on occasion, I’ve actually made up my own mind! Until they can get in touch with their own inner guidance, Sixes are like a ping-pong ball that is constantly shuttling back and forth between whatever influence is hitting the hardest in any given moment. Because of this reactivity, no matter what we say about Sixes, the opposite is often also as true. They are both strong and weak, fearful and courageous, trusting and distrusting, defenders and provokers, sweet and sour, aggressive and passive, bullies and weaklings, on the defensive and on the offensive, thinkers and doers, group people and soloists, believers and doubters, cooperative and obstructionistic, tender and mean, generous and petty—and on and on. It is the contradictory picture that is the characteristic “fingerprint” of Sixes, the fact that they are a bundle of opposites. The biggest problem for Sixes is that they try to build safety in the environment without resolving their own emotional insecurities. When they learn to face their anxieties, however, Sixes understand that although the world is always changing and is, by nature uncertain, they can be serene and courageous in any circumstance. And they can attain the greatest gift of all, a sense of peace with themselves despite the uncertainties of life. Want to maintain their freedom and happiness, to avoid missing out on worthwhile experiences, to keep themselves excited and occupied, to avoid and discharge pain. I am definitely a list person. It’s not really for memory since I have a great memory. It’s more for downloading information so that my mind won’t spin on it. For example, I was at a concert where the tickets were hard to get and very expensive. I couldn’t sit through it. My mind was torturing me with the things I needed to do. Finally, I had to get up and leave. This was very upsetting to the person I went with and I missed a good show. Ironically, Sevens’ wide-ranging curiosity and ability to learn quickly can also create problems for them. Because they are able to pick up many different skills with relative ease, it becomes more difficult for them to decide what to do with themselves. As a result, they also do not always value their abilities as they would if they had to struggle to gain them. When Sevens are more balanced however, their versatility, curiosity, and ability to learn can lead them to extraordinary achievement. The root of their problem is common to all of the types of the Thinking Center: they are out of touch with the inner guidance and support of their Essential nature. As with Fives and Sixes, this creates a deep anxiety in Sevens. They do not feel that they know what to do or how to make choices that will be beneficial to themselves and others. Sevens cope with this anxiety in two ways. First, they try to keep their minds busy all of the time. As long as Sevens can keep their minds occupied, especially with projects and positive ideas for the future, they can, to some extent, keep anxiety and negative feelings out of conscious awareness. Likewise, since their thinking is stimulated by activity, Sevens are compelled to stay on the go, moving from one experience to the next, searching for more stimulation. This is not to say that Sevens are “spinning their wheels.” They generally enjoy being practical and getting things done. I am highly, highly productive. At the office, I am joyful and my mind is running at its best. I might create several marketing campaigns for a client, work on the outline for an upcoming seminar, talk out a difficult problem with a client on the telephone, close two deals, make a project list, dictate a few letters and look up to see that it’s 9:30 a.m. and my assistant is coming in to start our work for the day. There wasn’t anything to do at home or in the tiny Southern town I grew up in. I was dying to get out of it and go someplace more exciting. When I was 16, I started dating, and before long I got pregnant, but the father didn’t want to marry me—which was okay since I didn’t want to marry him, either. It wasn’t too long before I found somebody else, and we got married, and I got to move to a larger city. But it didn’t really work out the way I wanted because after I had the baby, we broke up and I had to move back home. I stayed there for a year or two to get my feet on the ground. When things were looking bleak, I married someone else. I’m 19 now and I guess I’ve done a lot already. Eights are self-confident, strong, and assertive. Protective, resourceful, straight-talking, and decisive, but can also be ego-centric and domineering. Eights feel they must control their environment, especially people, sometimes becoming confrontational and intimidating. Eights typically have problems with their tempers and with allowing themselves to be vulnerable. At Their Best: self- mastering, they use their strength to improve others’ lives, becoming heroic, magnanimous, and inspiring. Want to be self-reliant, to prove their strength and resist weakness, to be important in their world, to dominate the environment, and to stay in control of their situation. When moving in their Direction of Disintegration (stress), self-confident Eights suddenly become secretive and fearful at Five. However, when moving in their Direction of Integration (growth), lustful, controlling Eights become more open-hearted and caring, like healthy Twos. Learn more about the arrows. We have named personality type Eight The Challenger because, of all the types, Eights enjoy taking on challenges themselves as well as giving others opportunities that challenge them to exceed themselves in some way. Eights are charismatic and have the physical and psychological capacities to persuade others to follow them into all kinds of endeavors—from starting a company, to rebuilding a city, to running a household, to waging war, to making peace. Eights have enormous willpower and vitality, and they feel most alive when they are exercising these capacities in the world. They use their abundant energy to effect changes in their environment—to “leave their mark” on it—but also to keep the environment, and especially other people, from hurting them and those they care about. At an early age, Eights understand that this requires strength, will, persistence, and endurance—qualities that they develop in themselves and which they look for in others. Thayer is a stockbroker who has worked intensively on understanding her type Eight personality. She recounts a childhood incident in which she could clearly see the development of this pattern. Much of my tenacity and toughness comes from my Dad. He always told me not to ‘let anybody push you around.’ It was not okay to cry. I learned to master my weaker side early on. At the tender age of eight, a huge horse ran away with me. When an adult caught the horse, I resolutely dismounted without a tear. I could tell my father was proud. Eights do not want to be controlled or to allow others to have power over them (their Basic Fear), whether the power is psychological, sexual, social, or financial. Much of their behavior is involved with making sure that they retain and increase whatever power they have for as long as possible. An Eight may be a general or a gardener, a small businessman or a mogul, the mother of a family or the superior of a religious community. No matter: being “in charge” and leaving their imprint on their sphere is uniquely characteristic of them. Eights are the true “rugged individualists” of the Enneagram. More than any other type, they stand alone. They want to be independent, and resist being indebted to anyone. They often refuse to “give in” to social convention, and they can defy fear, shame, and concern about the consequences of their actions. Although they are usually aware of what people think of them, they do not let the opinions of others sway them. They go about their business with a steely determination that can be awe inspiring, even intimidating to others. Although, to some extent, Eights fear physical harm, far more important is their fear of being disempowered or controlled in some way. Eights are extraordinarily tough and can absorb a great deal of physical punishment without complaint—a double-edged blessing since they often take their health and stamina for granted and overlook the health and well-being of others as well. Yet they are desperately afraid of being hurt emotionally and will use their physical strength to protect their feelings and keep others at a safe emotional distance. Beneath the tough façade is vulnerability, although it has been covered over by layer of emotional armor. When this happens, Eights feel misunderstood and may distance themselves further. In fact, beneath their imposing exterior, Eights often feel hurt and rejected, although this is something they seldom talk about because they have trouble admitting their vulnerability to themselves, let alone to anyone else. 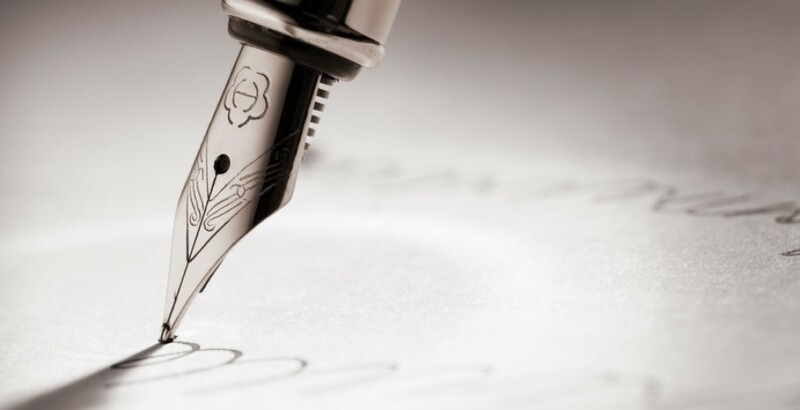 Because they fear that they will be rejected (divorced, humiliated, criticized, fired, or harmed in some way), Eights attempt to defend themselves by rejecting others first. The result is that average Eights become blocked in their ability to connect with people or to love since love gives the other power over them, reawakening their Basic Fear. When Eights are emotionally healthy, however, they have a resourceful, “can-do” attitude as well as a steady inner drive. They take the initiative and make things happen with a great passion for life. They are honorable and authoritative—natural leaders who have a solid, commanding presence. Their groundedness gives them abundant “common sense” as well as the ability to be decisive. Eights are willing to “take the heat,” knowing that any decision cannot please everyone. But as much as possible, they want to look after the interests of the people in their charge without playing favorites. They use their talents and fortitude to construct a better world for everyone in their lives. Nines are accepting, trusting, and stable. They are usually creative, optimistic, and supportive, but can also be too willing to go along with others to keep the peace. They want everything to go smoothly and be without conflict, but they can also tend to be complacent, simplifying problems and minimizing anything upsetting. They typically have problems with inertia and stubbornness. At Their Best: indomitable and all-embracing, they are able to bring people together and heal conflicts. Want to create harmony in their environment, to avoid conflicts and tension, to preserve things as they are, to resist whatever would upset or disturb them. When mov ing in their Direction of Disintegration (stress), complacent Nines suddenly become anxious and worried at Six. However, when moving in their Direction of Integration (growth), slothful, self-neglecting Nines become more self-developing and energetic, like healthy Threes. Learn more about the arrows. We have called personality type Nine The Peacemaker because no type is more devoted to the quest for internal and external peace for themselves and others. They are typically “spiritual seekers” who have a great yearning for connection with the cosmos, as well as with other people. They work to maintain their peace of mind just as they work to establish peace and harmony in their world. The issues encountered in the Nine are fundamental to all psychological and spiritual work—being awake versus falling asleep to our true nature; presence versus entrancement, openness versus blockage, tension versus relaxation, peace versus pain, union versus separation. Ironically, for a type so oriented to the spiritual world, Nine is the center of the Instinctive Center, and is the type that is potentially most grounded in the physical world and in their own bodies. The contradiction is resolved when we realize that Nines are either in touch with their instinctive qualities and have tremendous elemental power and personal magnetism, or they are cut off from their instinctual strengths and can be disengaged and remote, even lightweight. To compensate for being out of touch with their instinctual energies, Nines also retreat into their minds and their emotional fantasies. (This is why Nines can sometimes misidentify themselves as Fives and Sevens, “head types,” or as Twos and Fours, “feeling types.”) Furthermore, when their instinctive energies are out of balance, Nines use these very energies against themselves, damming up their own power so that everything in their psyches becomes static and inert. When their energy is not used, it stagnates like a spring-fed lake that becomes so full that its own weight dams up the springs that feed it. When Nines are in balance with their Instinctive Center and its energy, however, they are like a great river, carrying everything along with it effortlessly. We have sometimes called the Nine the crown of the Enneagram because it is at the top of the symbol and because it seems to include the whole of it. Nines can have the strength of Eights, the sense of fun and adventure of Sevens, the dutifulness of Sixes, the intellectualism of Fives, the creativity of Fours, the attractiveness of Threes, the generosity of Twos, and the idealism of Ones. However, what they generally do not have is a sense of really inhabiting themselves—a strong sense of their own identity. Ironically, therefore, the only type the Nine is not like is the Nine itself. Being a separate self, an individual who must assert herself against others, is terrifying to Nines. They would rather melt into someone else or quietly follow their idyllic daydreams. Nines demonstrate the universal temptation to ignore the disturbing aspects of life and to seek some degree of peace and comfort by “numbing out.” They respond to pain and suffering by attempting to live in a state of premature peacefulness, whether it is in a state of false spiritual attainment, or in more gross denial. More than any other type, Nines demonstrate the tendency to run away from the paradoxes and tensions of life by attempting to transcend them or by seeking to find simple and painless solutions to their problems.